Binny's Beverage Depot spirits buyer Brett Pontoni oversees an extensive spirits portfolio that includes nearly 5,000 labels. Pontoni was instrumental in both ushering in the brown spirits boom nationwide and bringing craft spirits to Binny's. 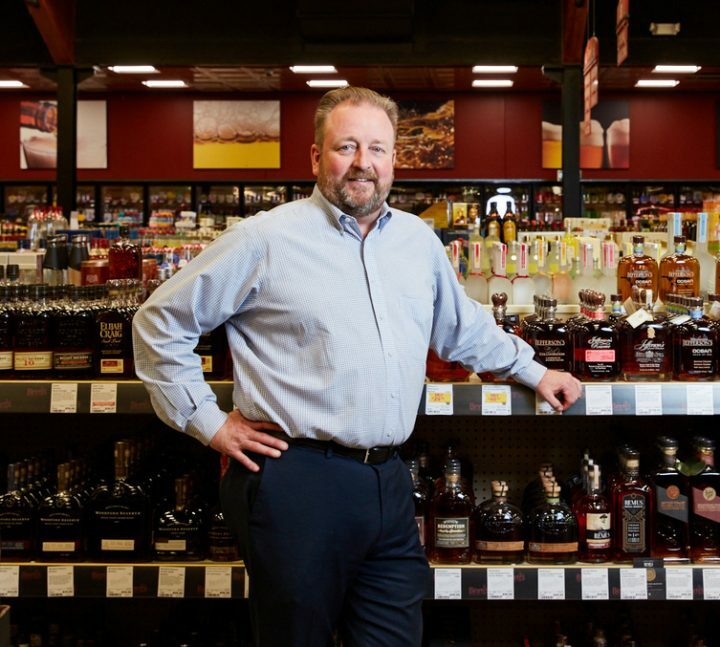 As the spirits buyer for Illinois’ 38-unit Binny’s Beverage Depot, Brett Pontoni—who oversees a spirits portfolio comprising nearly 5,000 SKUs—is in the business of not only anticipating trends, but starting them. Pontoni put small-batch spirits on Binny’s shelves long before the U.S. whisk(e)y craze hit its stride, and he continues to be a champion of the regional craft scene. He’s widely credited as a pioneer of the brown spirits boom. In the late 1990s, he helped source the chain’s first single barrel of whisky—an ex-Bourbon cask Caol Ila 12-year-old from Murray McDavid—effectively ushering in Binny’s reign as a whisk(e)y retail powerhouse. 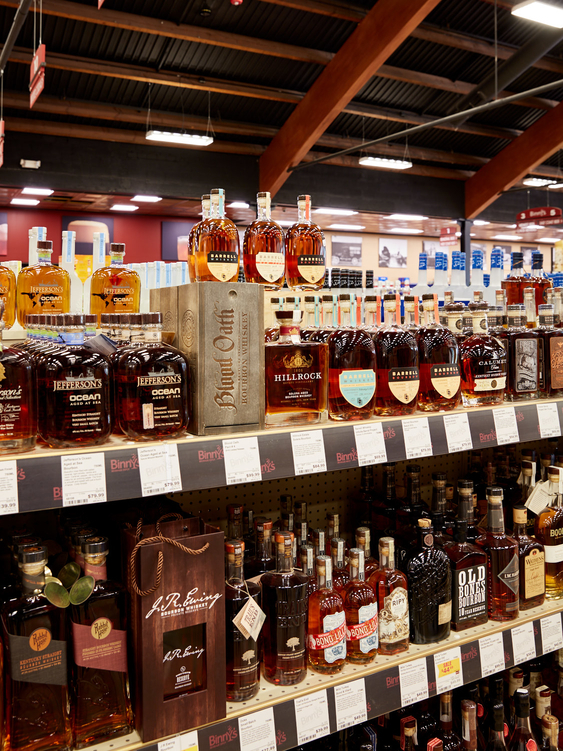 Today, Binny’s boasts one of the most impressive single barrel programs in the country, and is also known for its inventive Whiskey Hotline service, which fields whisk(e)y- and other spirits-related questions from customers via an old-fashioned landline. For serving as a trailblazer within the competitive retail space, Brett Pontoni has been named a 2018 Market Watch Leader. 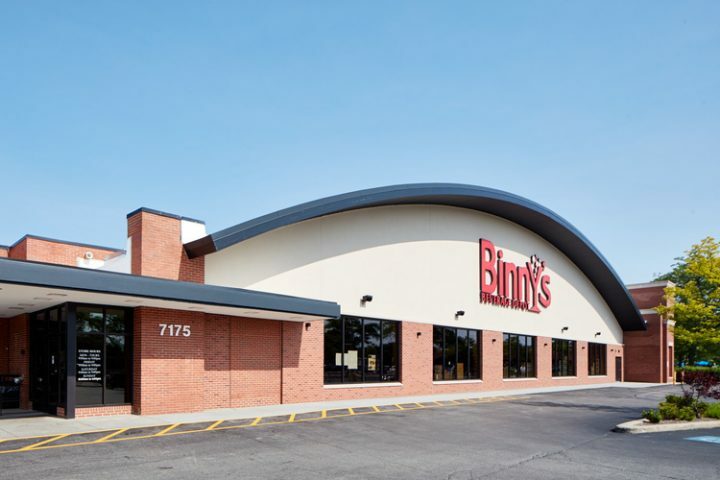 Despite a highly competitive beverage alcohol retail landscape, the future looks bright for Binny's (Lincolnwood exterior pictured), where Pontoni plans to continue offering one of the most diverse spirits selections in the country. Pontoni got his start in the beverage retail space early on, taking a part-time gig at a discount liquor store while studying economics as an undergrad at Indianapolis’s Butler University. After receiving his MBA from Syracuse University in New York, Pontoni migrated to Chicago in 1993, accepting a general management job offer from Binny’s soon after. Binny's owner Michael Binstein (pictured right with Pontoni) hails Pontoni as one of the most consequential hires in the store's history. 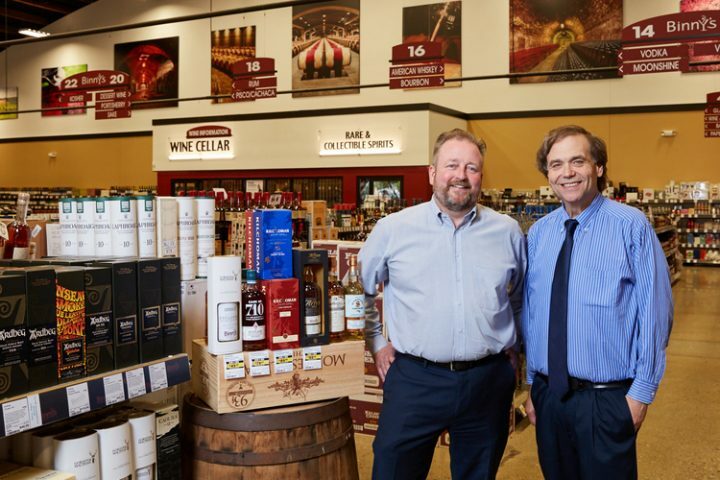 Binstein—the son of the late Harold Binstein, who founded Binny’s in 1948—took over the company’s reins in 1995, overseeing a total of 13 locations at the time—two Binny’s and 11 under the now-defunct Gold Standard Liquors and Chalet store names. 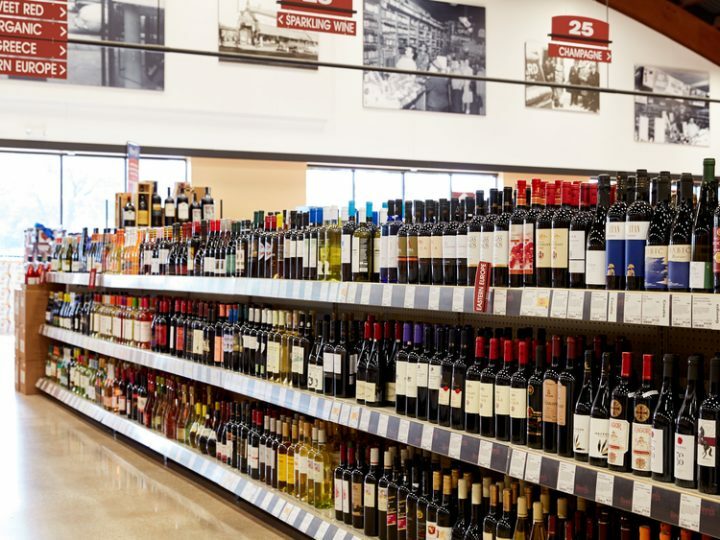 This year, Binny’s will grow to 40 stores across the greater Chicago area, with two new locations in Evanston and Joliet slated to open by the end of 2018. 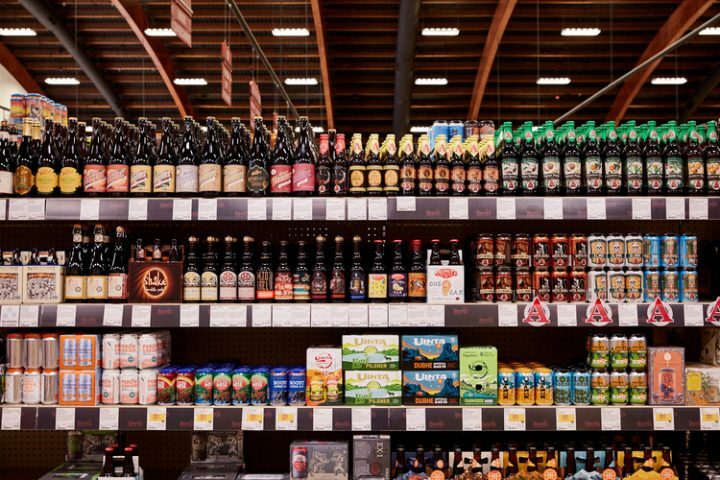 Though the stores vary in size, an average Binny’s location spans around 25,000 square feet, with the largest store in the city of Chicago at 50,000 square feet. Binny’s is also known for its cigar offerings, with many of its stores showcasing sizable 500-square-foot humidors. 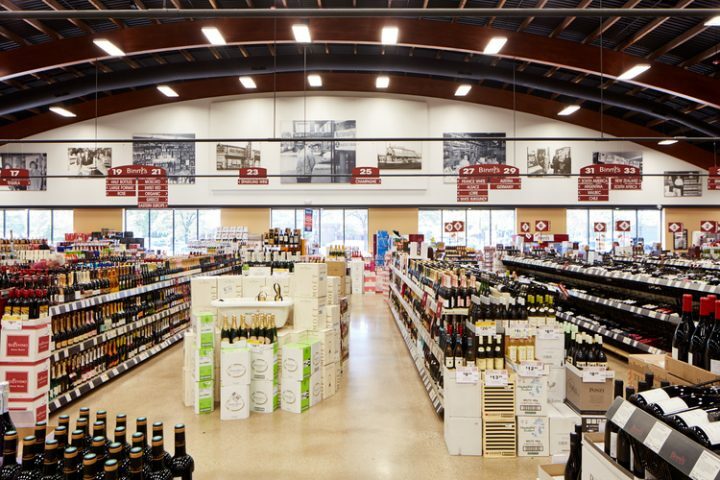 An average Binny's location (Lincolnwood wine aisles pictured) is 25,000 square feet, with the largest store in the city of Chicago at 50,000 square feet. Among the up-and-coming segments that Pontoni currently stocks at Binny’s are a bevy of Tequila-adjacent offerings, such as mezcal, raicilla, bacanora, charanda, and sotol—which has proven to be a standout, with Binny’s currently stocking eight sotol labels from a variety of regions. Pontoni similarly plans to dedicate additional shelf space to raicilla in the coming months. Binny’s ability to offer obscure or hard-to-find spirits has created value for the more curious consumer, according to Pontoni. “When a category is just beginning to get its footing is when you find some of the best values,” he explains. Meanwhile, Pontoni also sees some notable upside within the domestic brandy category, where craft players like Louisville-based Copper & Kings American Brandy Co. and California’s Osocalis Distillery are quickly gaining traction. Likewise, the fast-growing artisanal gin segment is also performing well. The spirits selection at Binny's (Lincolnwood location shelves above) has diversified greatly since Pontoni's arrival in 1993. While Pontoni is always on the lookout for new trends, a large part of his job centers on the continued cultivation of Binny’s renowned whisk(e)y selection. Between barrel samples and new products, he tastes an average of 50 different whiskies a week, and as many as 100 whiskies during peak periods. Under his stewardship, Binny’s single barrel program has expanded steadily, and the retailer now sources hundreds of barrels a year. “When we first started doing single barrels in 1997 or 1998, most people said, ‘You’re out of your mind,’” Pontoni explains. “Nowadays, people are begging to get barrels.” One of the chain’s longest-running single barrel relationships is with Kentucky’s Buffalo Trace Distillery. Binny’s first collaborated with the distillery on a barrel in 2002, and their partnership continues to evolve, with exclusive Bourbon batches and barrel releases several times a year. In recent years, Binny’s single barrel program has gone beyond the whisk(e)y category, Pontoni has partnered with Jérôme Tessendier of France’s Maison Park to source two barrels of single vineyard Cognac. Likewise, as part of a new “boomerang” program, Pontoni is working with Buffalo Trace to send ex-Bourbon barrels to Corazon, Mexico, where they’ve been filled with Tequila that Binny’s plans to bottle as an Añejo in the coming months. The retailer is also creating a Reposado Tequila, aged in the distillery’s Eagle Rare barrels. Binny's selection is constantly changing (beer shelves pictured). Pontoni frequently travels, touches base with consumers, and tastes new spirits labels in order to best meet his customers' needs. In addition to its single barrel program, Binny’s Whiskey Hotline also serves as a major point of differentiation for the retailer. Spearheaded by Pontoni, the Whiskey Hotline launched in 2002, when the brown spirits renaissance was a mere blip on the radar. The education-focused initiative has played a key role in cementing Binny’s status as a trusted resource for information, with customers able to call in and talk to one of three spirits experts for as long as they want, about whatever they want. “The Whiskey Hotline was here before whisk(e)y was cool—in 2002, having a whiskey program was unheard of,” says Binstein. “It was here pre-boom. It’s here during the boom. And it’s going to be here after the boom.” He adds that no customer query goes unanswered. The hotline’s popularity helped spawn last year’s creation of Binny’s Whiskey Hotline Study Group, which has emerged as a valuable training resource within the company. Any Binny’s employee is welcome to join the group, which meets each Tuesday in-store and involves small, interactive discussions—often led by Pontoni—about whisk(e)y and other spirits categories. The group also embarks on the occasional “field trip” to a distillery—a visit to Lawrenceburg, Indiana-based contract distiller MGP was among their recent excursions—and conducts tasting sessions, which Pontoni says provide an excellent learning opportunity for staffers. As consumers shop more online, Pontoni has adjusted accordingly. Binny's (wine shelves above) now offers its own mobile app, which benefits consumers shopping remotely and in-store.